You can make location-based searches. 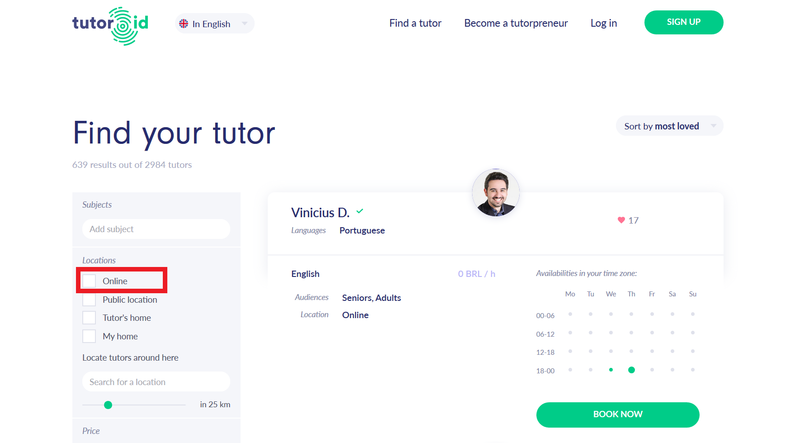 Yes, Discovery allows students to search for tutors at any place. If you want online tutoring, select online filter which is shown on the picture below. If you want in-person tutoring, select one of the location filters which is shown on the picture below. 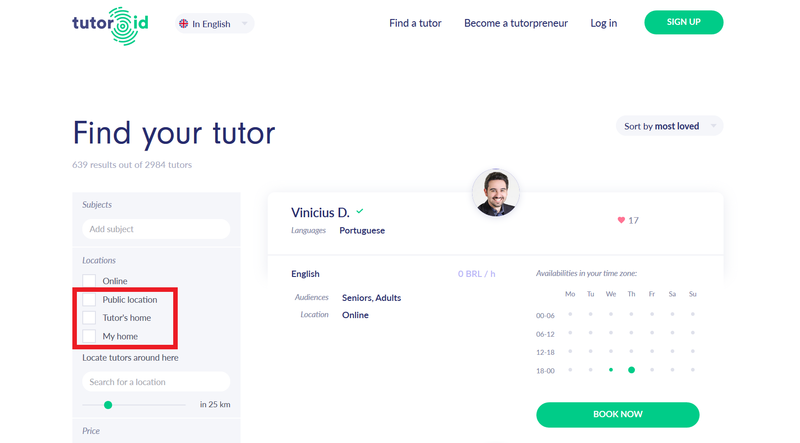 Our platform is quite flexible in terms of searching tutors. We make sure that our users have the best service during their experience.